THESE mysterious radio waves picked up by a NASA probe flying past Saturn could be “aliens talking”, conspiracy theorists claim. The space agency’s groundbreaking Cassini spacecraft became the first to orbit the gas giant. Saturn emits natural radio waves because of its powerful magnetic field and when charged particles are accelerated through the field they give off radio emissions which can sound likes whizzes and static. When Cassini reached the planet, the second biggest in our solar system behind Jupiter, it recorded dozens of radio waves. A YouTube conspiracy video has highlighted a file on July 25, 2004, which when raised in pitch can sound eerily like a creature from a science-fiction movie. Some have theorised the sound when digitally enhanced reveals communication from an alien lifeform and possibly musical notes. It emerged Cassini began detecting Saturn’s radio waves two years earlier when it was 234 million miles from the ringed planet. 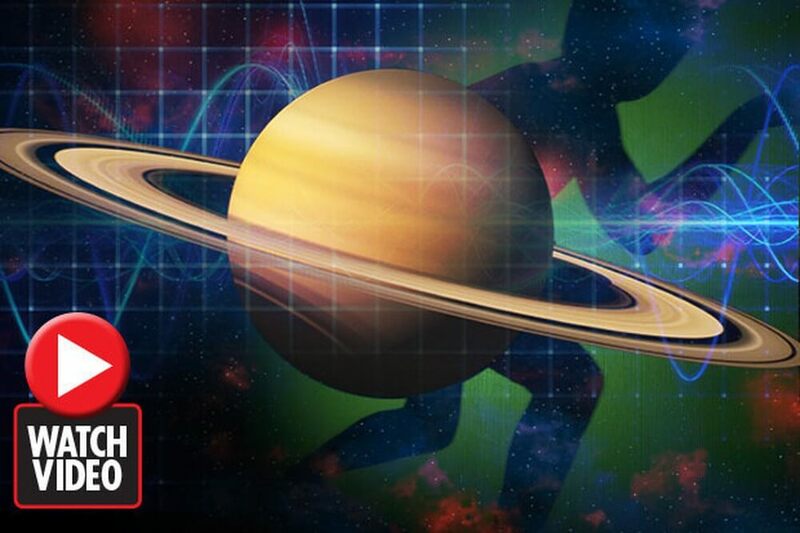 Scientists learned that the natural radio waves differs at the northern and southern hemispheres and with the pattern of the waves worked out that the length of day on Saturn would be just 10.67 hours after several revisions. On Saturn every season lasts seven Earth years. Cassini was the first mission to ever study the mysterious planet and its moon, including the largest one dubbed Titan. This super-sized moon – one of 63 near saturn – is believed to have lakes, mountains and possibly volcanoes. One theory suggests the foggy world could have many of the chemical compounds which started life on Earth. Cassini came as close as 15 miles to the icy surface of Saturn, capturing massive ocean beneath the frozen crust which might have conditions suitable for life. NASA’s revolutionary Kepler space telescope has found around 50 earth-sized planets which are in a habitable zone from their star to support life.